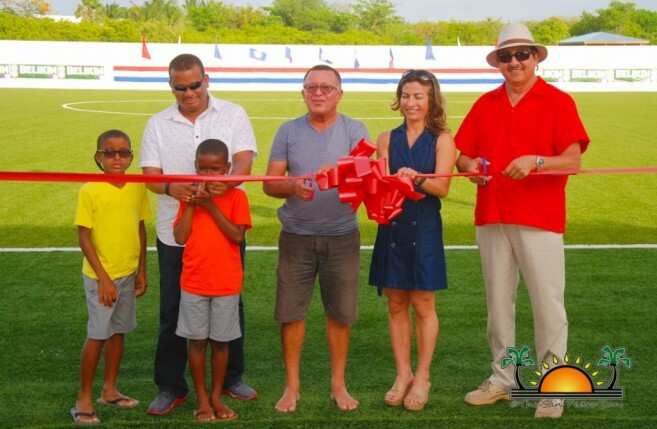 After its September 2015 project launch, the prestigious Ambergris Stadium was officially inaugurated on Sunday, May 21st. 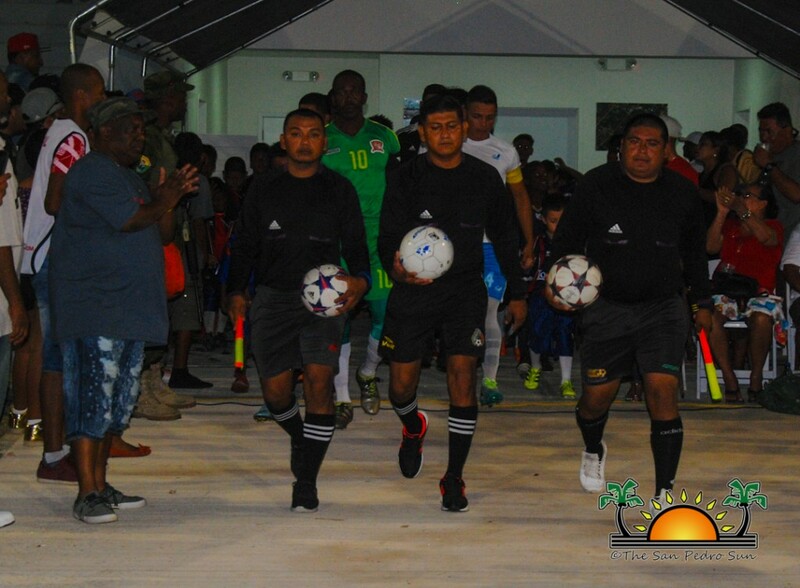 Coordinated by Belize Infrastructure Limited (BIL), along with the San Pedro Town Council (SPTC), and executed by AM Construction Company from the Orange Walk District, the $4.4 million state-of-the-art multi-purpose sporting arena was designed to transform sports professionalism on the island. 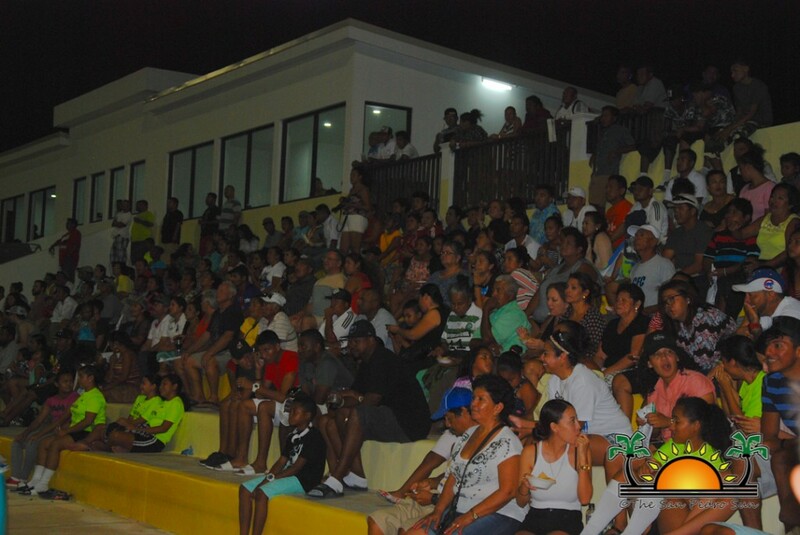 Over 500 people were in attendance to enjoy great entertainment and football action. Master of Ceremonies SPTC Local Economic Developer Jorge Aldana, welcomed everyone, thanking them for attending the commemorative event. After the singing of the National Anthem, Pastor Clive Welsh gave the invocation. 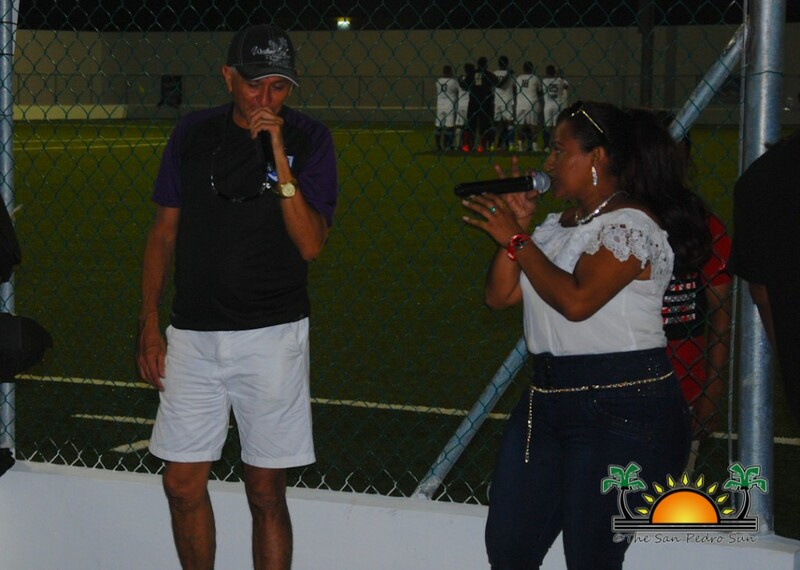 In his prayer, he asked for blessings upon the Ambergris Stadium. Mayor Daniel Guerrero gave the official welcome remarks. 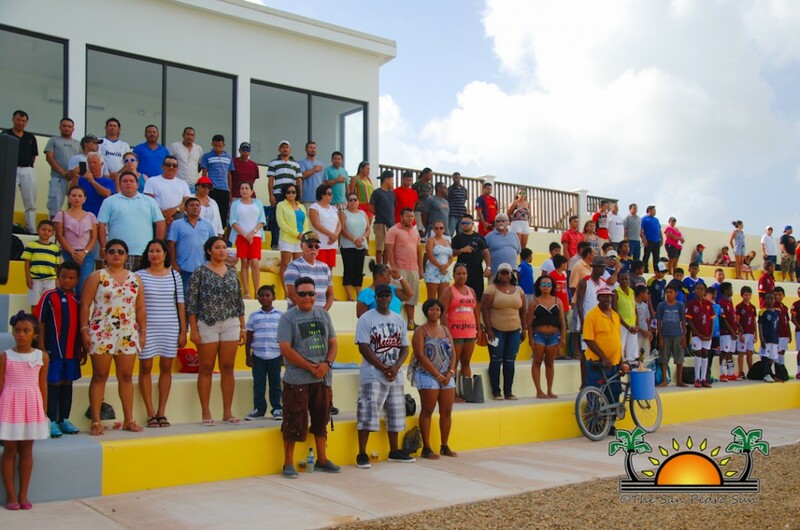 “33 years ago, the [residents of] small fishing village of San Pedro never thought our island would develop in a short period of time. Growing up as a young boy in the 1970’s, I would have never imagined that San Pedro would be the fastest growing municipality in the entire country. 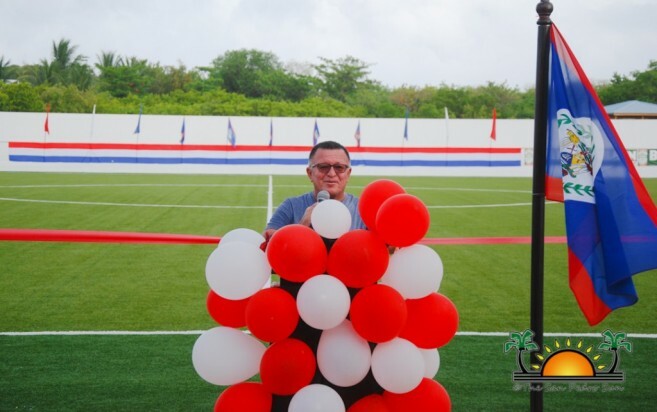 The inauguration of the recently competed Ambergris Stadium is yet another testament of the progress and the hard work of the United Democratic Party (UDP). 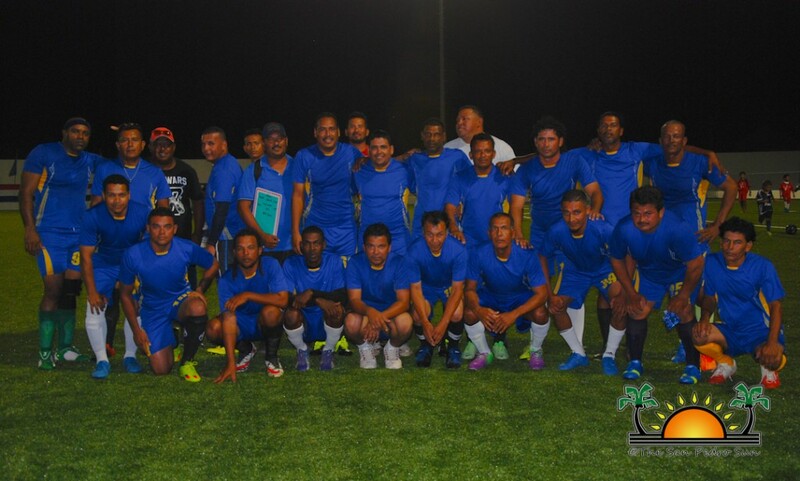 The biggest asset of our island is our people, it’s collective of current and past leaders, and footballers that have promoted sports on our island,” said Guerrero. 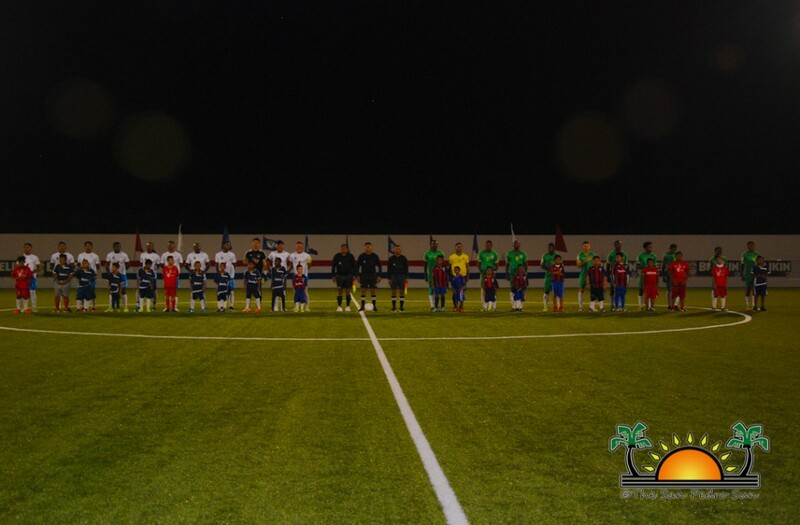 The Mayor reflected on the Honorable Louis Sylvestre Sporting Complex, and the countless numbers of football legends that derived from there. 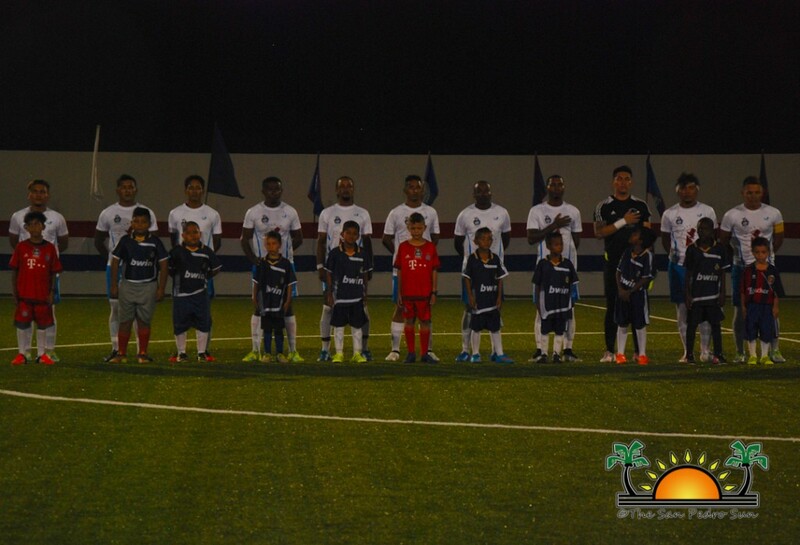 He then called for a standing ovation to Prime Minister Right Honorable Dean Barrow, along with all those who contributed to the development of the stadium. He ended with saying he will make sure that an effective mechanism is put in place for the stadium to be sustainable. General Manager of BIL Christy Mastry gave an overview of the project. 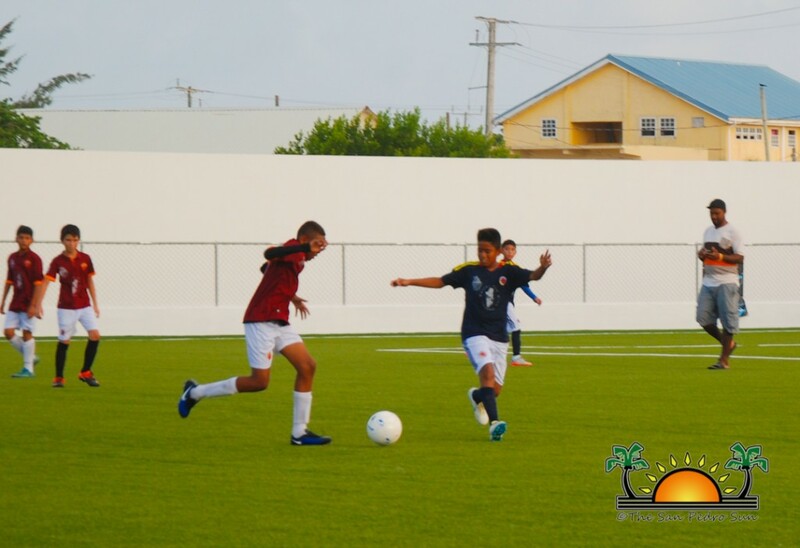 “The stadium features a synthetic turf, stage lighting, VIP area/media booth, bleachers to accommodate 1,500 people, concession stands, lockers and bathroom facilities. I remember when we allocated this land, which is four and half acres. It was mangrove, and since this is my second project, I learned a lot about drainage and land filling. 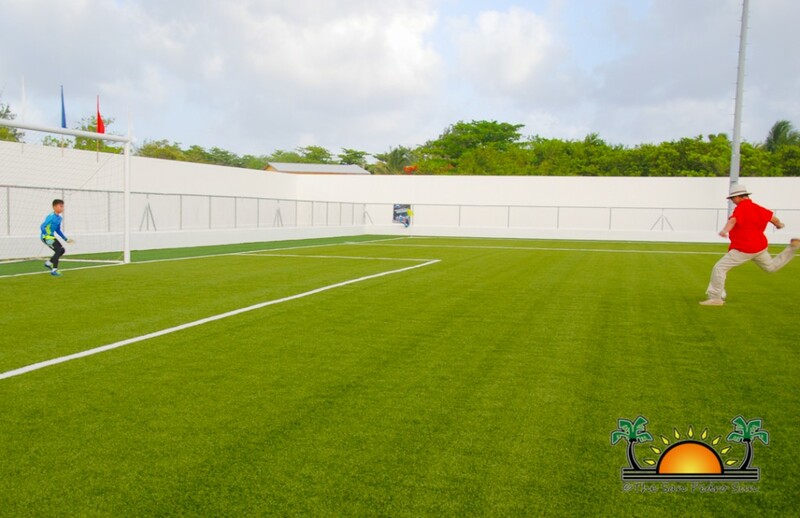 With the synthetic turf, we had to build it above tide level, and we were able to build a proper drainage system. I think it rained to prove a point. It could rain for another hour, and we can still have a wonderful game. Overall, we need to make sure we put this stadium into good use. 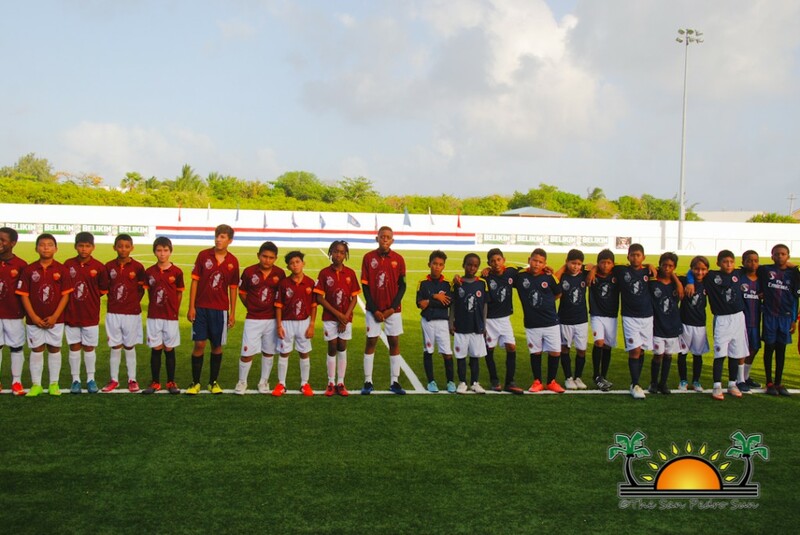 We need to encourage our children to improve, so they can transition from amateur to semiprofessional to professional level,” said Mastry. She told The San Pedro Sun that despite the delays during construction, the project stayed within budget. 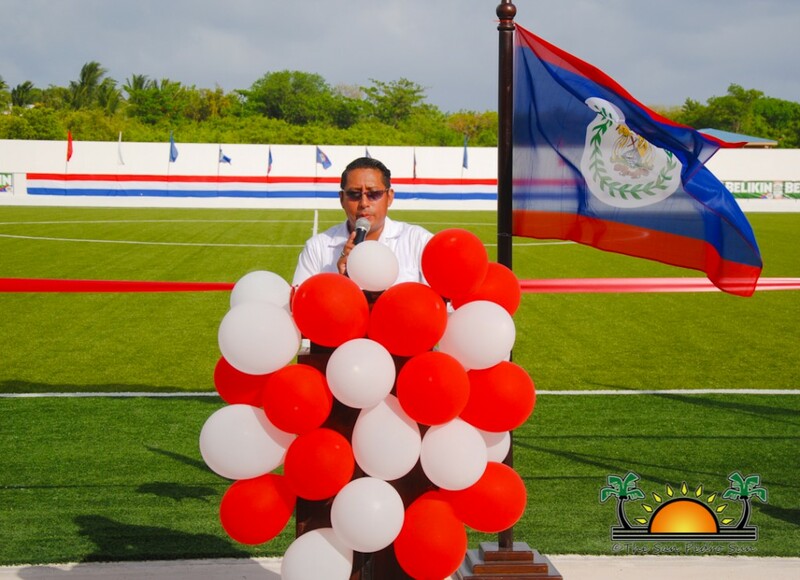 Minister of Tourism and Civil Aviation and Area Representative for the Belize Rural South, Honorable Manual Heredia Jr., delivered the keynote address. 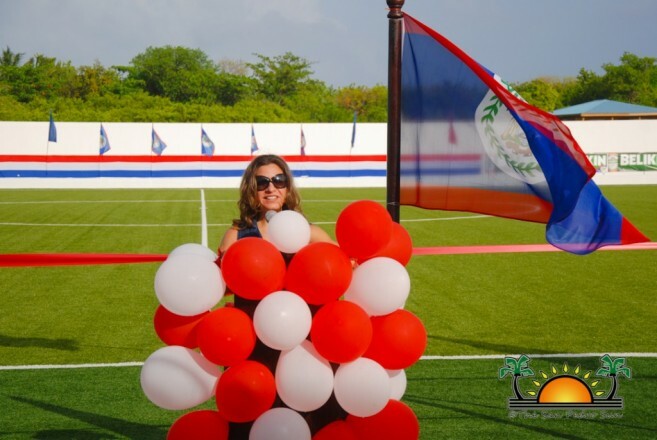 “I have to thank Deputy Prime Minister Faber, BIL, and the Government of Belize for providing the resources that brought this project into fruition. 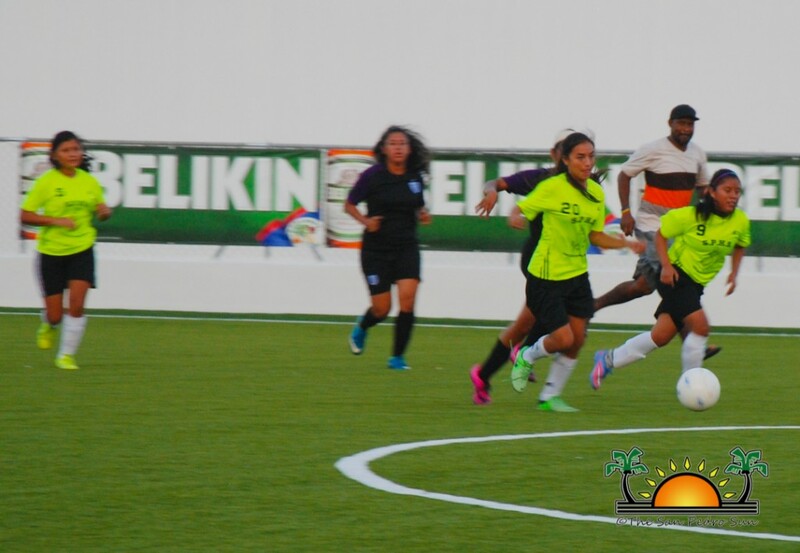 With an investment of $4.4 million dollars, this new sporting facility will provide the people of San Pedro the opportunity to further invest in sports, athleticism, and healthier living. This investment will benefit our people, students, footballers, and our visitors. 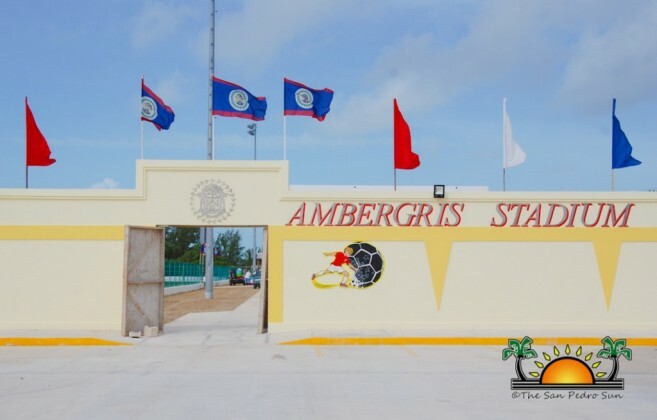 It is my only hope that the Ambergris Stadium will stand as a symbol of sportsmanship and community. It is important that athletics exemplify a much-needed platform for the engagement of sports. 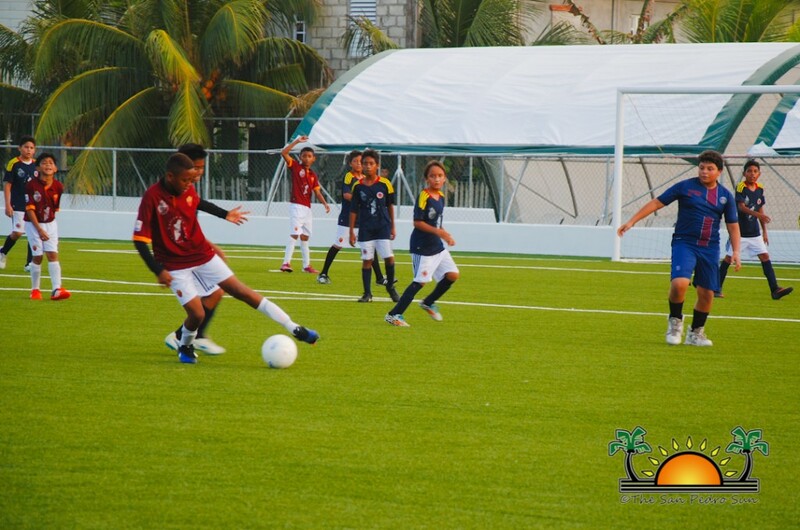 You never know when the next Lionel Messi or the next Usain Bolt will come from San Pedro. 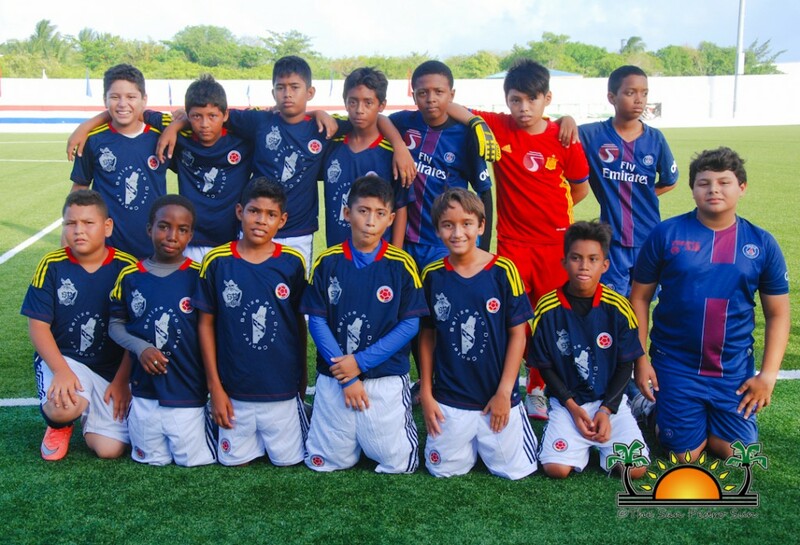 Anything is possible with this new stadium,” said Heredia. Deputy Prime Minister, and Minister of Education, Youth, Sports & Culture Honorable Patrick Faber gave the main address. “It is a dream come true…This town has gone through an amazing transformation. It is tremendous work from our Government that this is a state-of the art facility became reality…we spent more than $60 million across the country, and it is an investment. 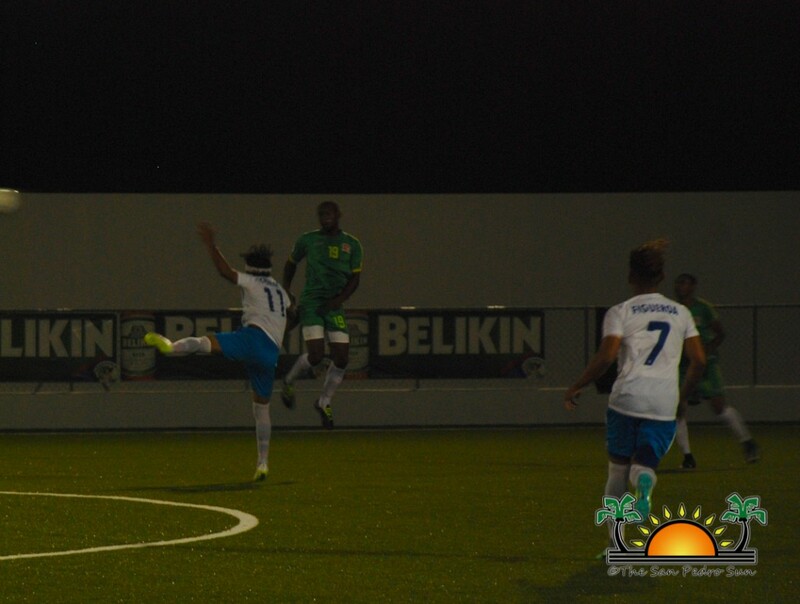 As for this stadium, we must take care of these facilities in order to generate the type of income to maintain it, and serve the community…We have to make sure that [our athletes] are trained to participate in the national, regional, and international level games,” said Faber. 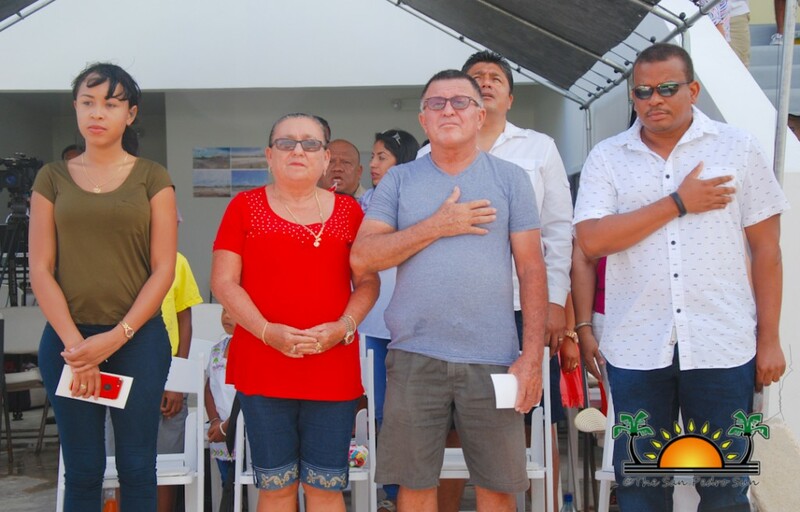 Councilor in charge of Culture, Youth, Sports, and Leisure activities Hector Alamilla gave the Vote of Thanks. 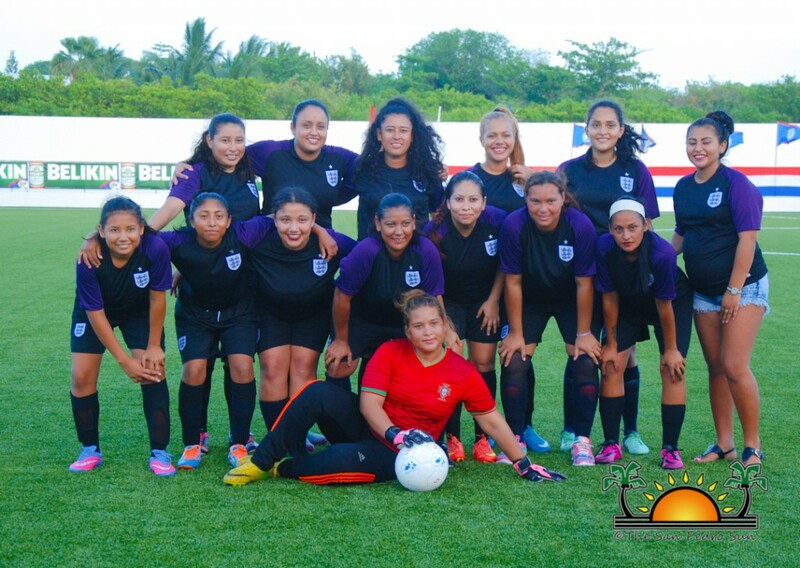 “It has been proven that the practice of any sport builds confidence, character, and great leadership in any individual. As we celebrate this monumental accomplishment, let’s not stop investing in sports. Let’s be the advocates for our youth. 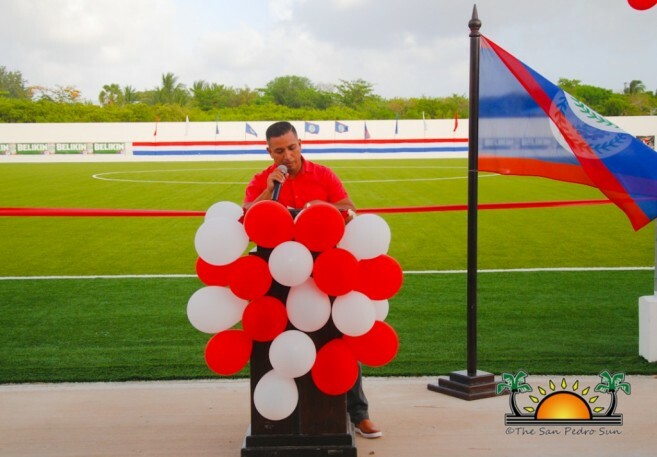 Let’s take pride in what has been given to us, and make sure this stadium is accessible for all football events,” said Alamilla. 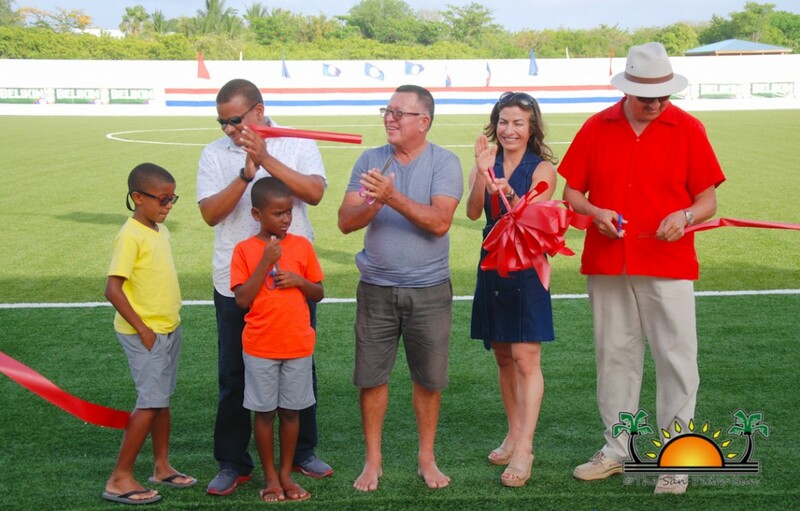 After the ribbon cutting ceremony, the Government officials were invited to tour the field, and even took turns at scoring a goal. Heredia, Faber, and Guerrero all made attempts, but only Guerrero was successful, and he drew much applause from the crowd. 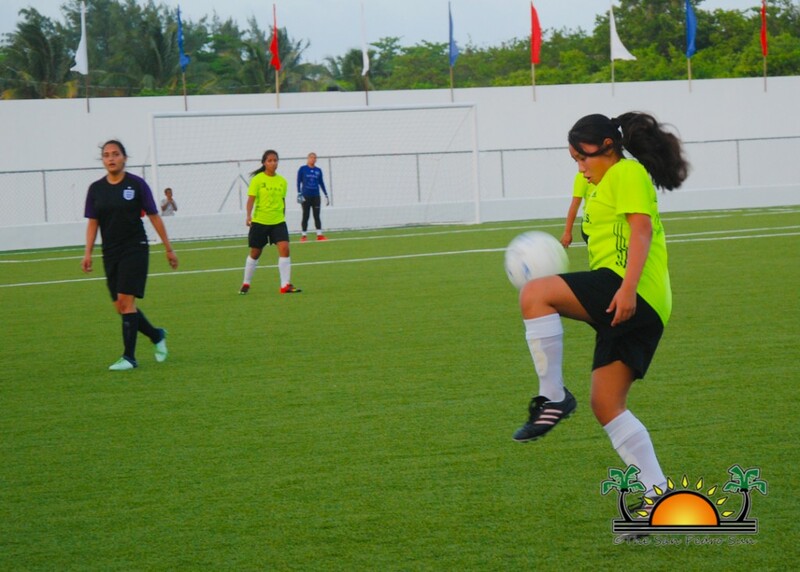 As Rompe Raja played, the football action began with an exhibition game from two Under-15 teams: the San Pedro Pirates, and A&B. 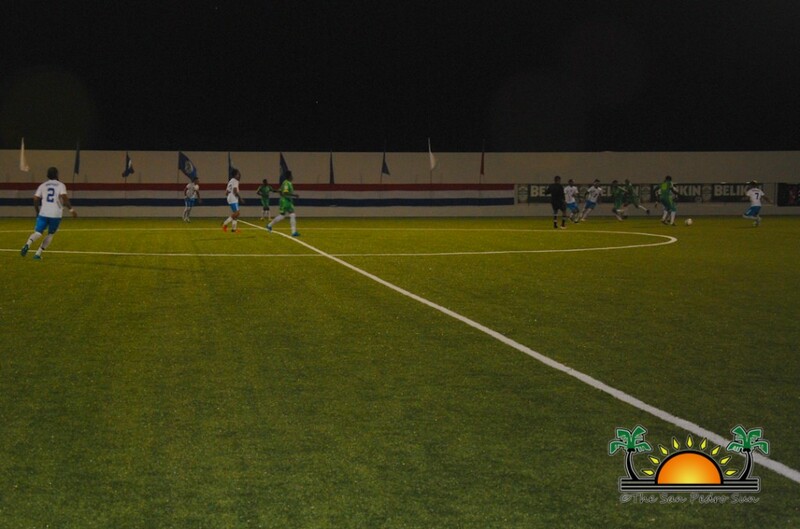 Both teams were energized, but after many failed goal attempts, the game drew 0-0. 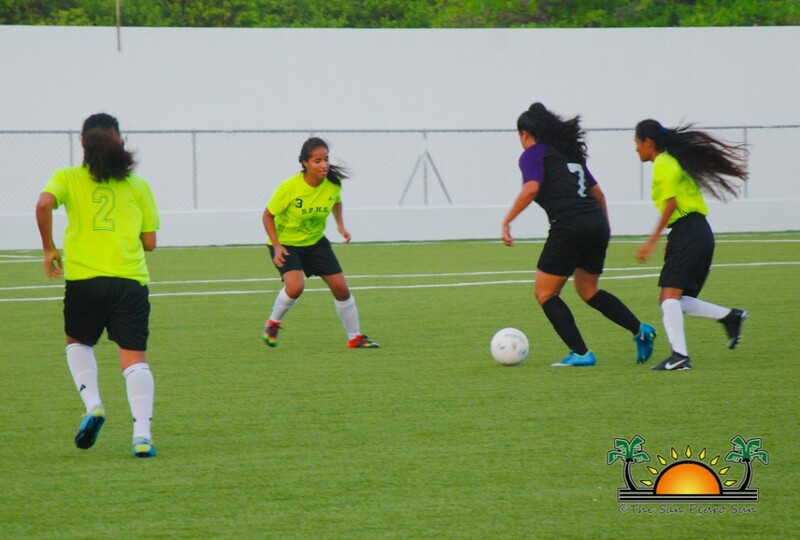 The next match saw the San Pedro High School (SPHS) female team taking on the Island Strikers. 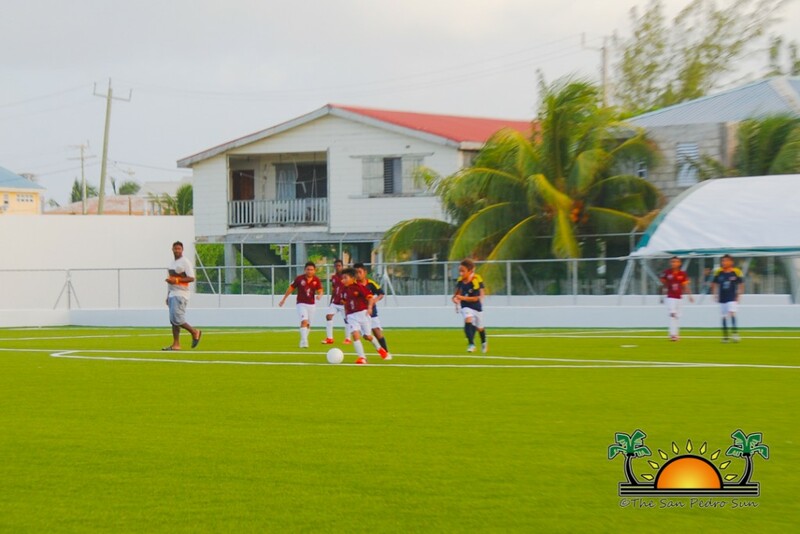 During the first half, the Strikers scored a goal, and SPHS tried to rebound in the second half. 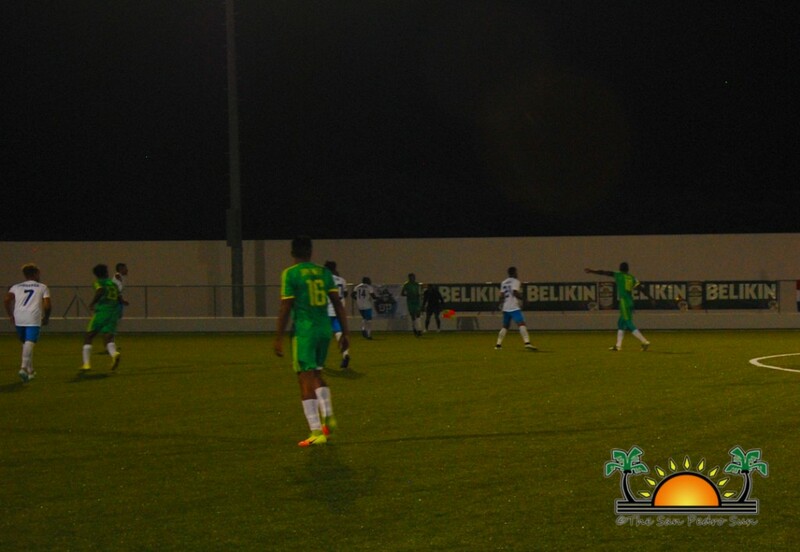 However, the Strikers’ defense was solid, and they won 1-0. 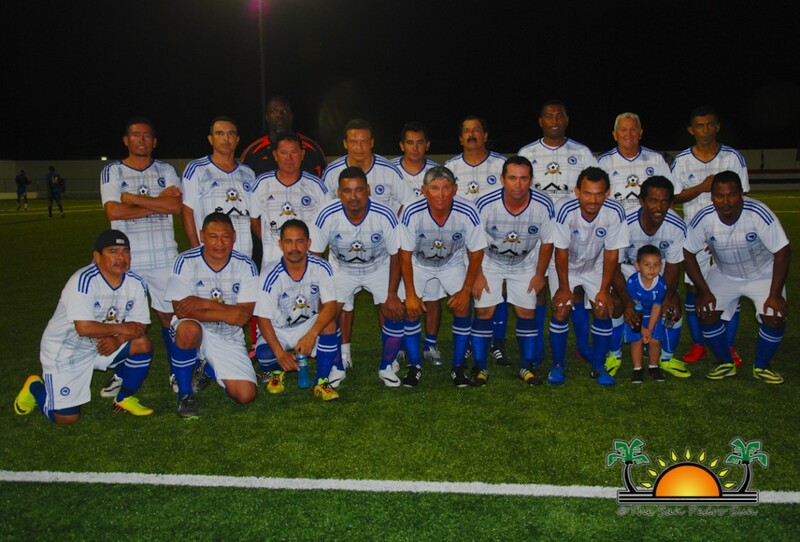 In the third match of the night, the San Pedro Veterans faced the Mango Creek Veterans. 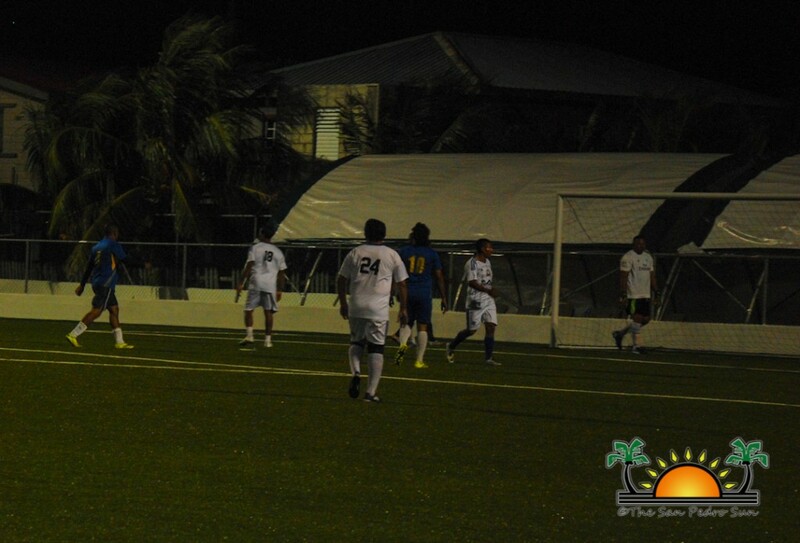 During the first half of the intense match, the San Pedro Veterans charged against their opponents, taking a swift lead in the game. 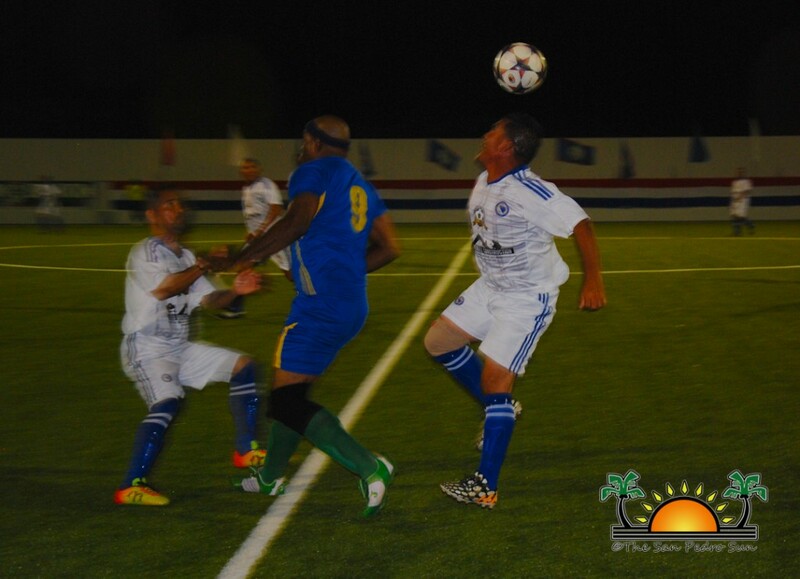 After half-time, Mango Creek scored a goal, but it was not enough, as the San Pedro Veterans won the game 4-1. 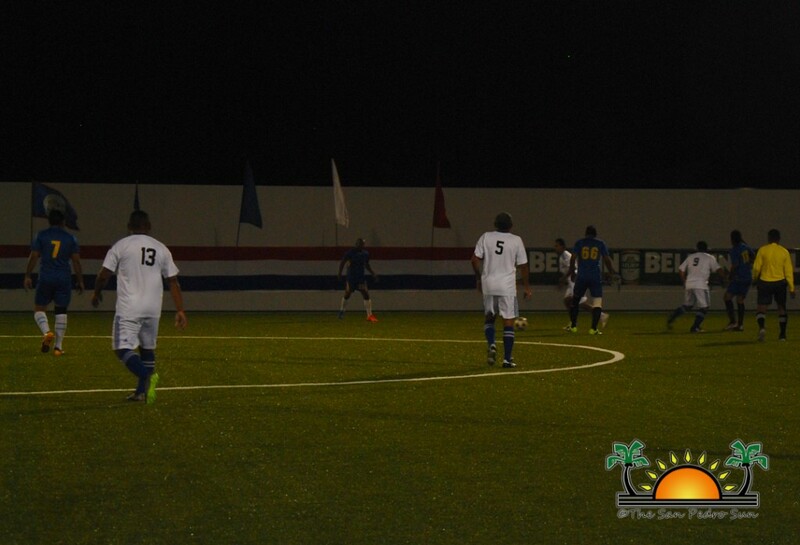 After entertainment from The Saints, the most anticipated game of the night took place. 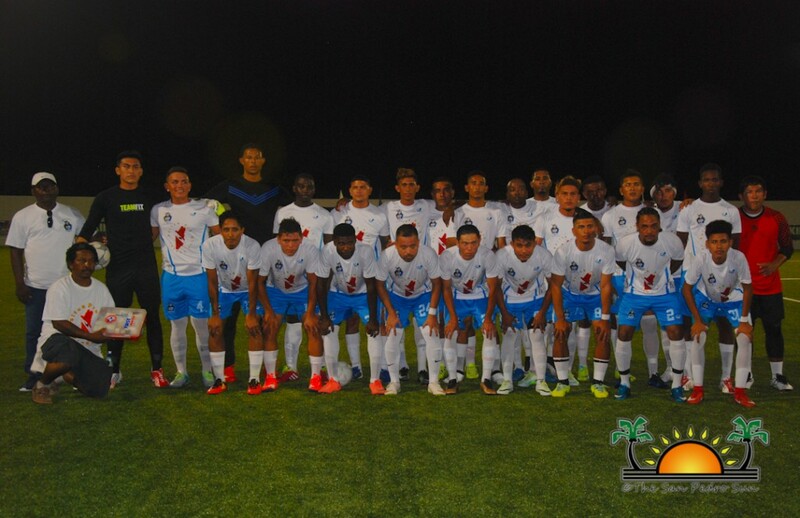 San Pedro’s semi-pro team, the San Pedro Pirates, made their debut, facing the Police United F.C. 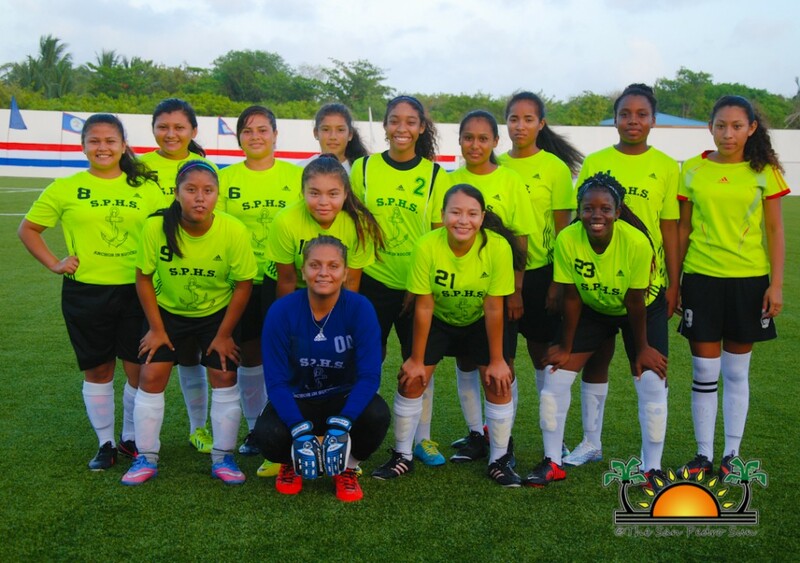 from Belmopan, Belize. The crowd was ecstatic, shouting and waving flags to cheer on the SP Pirates. Both teams put on an impressive show of talent, tying the game 2-2. The SPTC thanks everyone who attended. 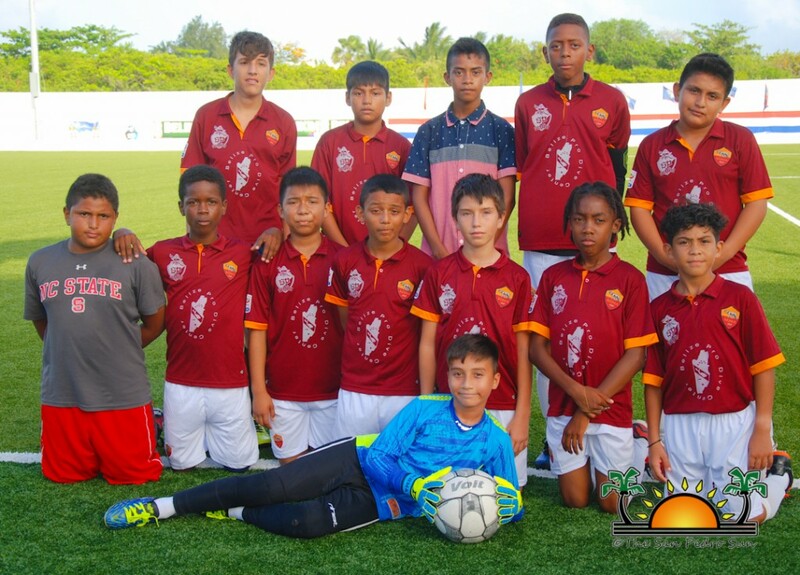 They look forward to more memorable experiences at the Ambergris Stadium.